9 Dreamy spaces that will convince you to go green! This beautiful space looks like a tropical forest. I love the tiny chairs that look like mushrooms and all the green details in the room. The big plants bring a lot of personality to the space and they give it a very tropical vibe. I’m in love with this outdoor space and the different shades of green it. So that’s why I recommend an outdoor space filled with beautiful exotic plants, raffia chairs, green ottomans and also exotic lanterns. It will look just dreamy! As the botanic design is very trendy for the spring season, pick green paintings with a nature or jungle theme and oversized pants for your living space. Match them with furniture in Earth tones to get a look similar to the nature. This is an ideal relaxing space for your hallway or living room. I love all the travel inspired elements like the neutral luggage or the small boxes. Also the blue and the green create a very exotic vibe and make your home look like a tropical forest. Very peaceful! The nature inspired space with go great with lots of oriental elements. Pick an exotic armchair and a lot of cute small tables and create an outdoor space that’s inspired by an Arabic tale. So dreamy! Besides looking pretty and fresh, a green kitchen will help you cook healthier. Decorate your cooking space with green faience and a lot of plants. You will have a dreamy space where you will love to sit for hours trying out new recipes. I love this living room, looks simple and relaxing. It’s the perfect space to hang out with your friend while having a feeling you’re in the forest. All you need is a green spacious couth, fun pillows and a lot of green plants. If you love jungle inspired living spaces this is the perfect idea. The space is ideal for a living room or a library. You can spend time here reading, studying or doing your work projects. All you need are a lot of tropical plants, some relaxing chairs and a lot of green deco elements. Green walls, green furniture and tribal deco elements, that’s a really great combo, the whole living space will look like a jungle full of future adventures. 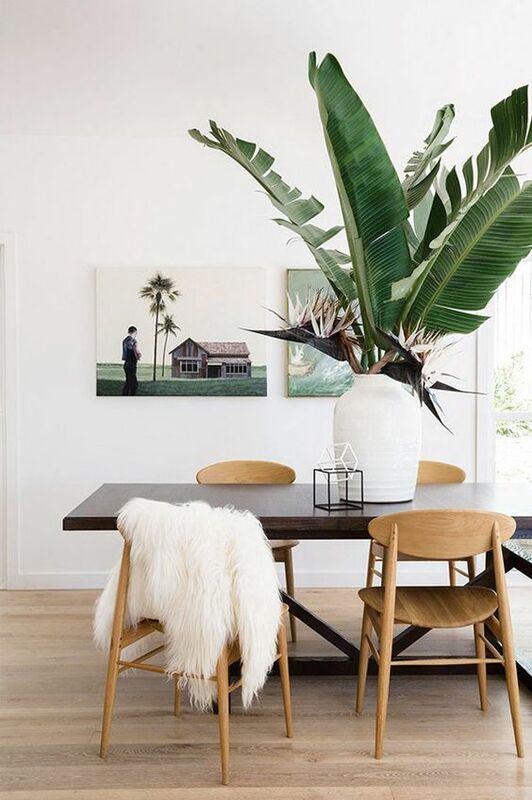 Don’t forget to add big plants and nature inspiring paintings to make the space more authentic. My favorite color is green. I have many green plants a home. And I used to have these green kitchen tiles but in my bathroom. It was spectacular in the shower with the skylight !